Dine with Royalty at the Cafe Royal Bistro, Jedburgh. Using locally sourced produce, our freshly cooked dishes are classic with a modern twist, bringing tastes of Scotland to your table. We offer vegetarian options and are happy to cater for a variety of dietary requirements. 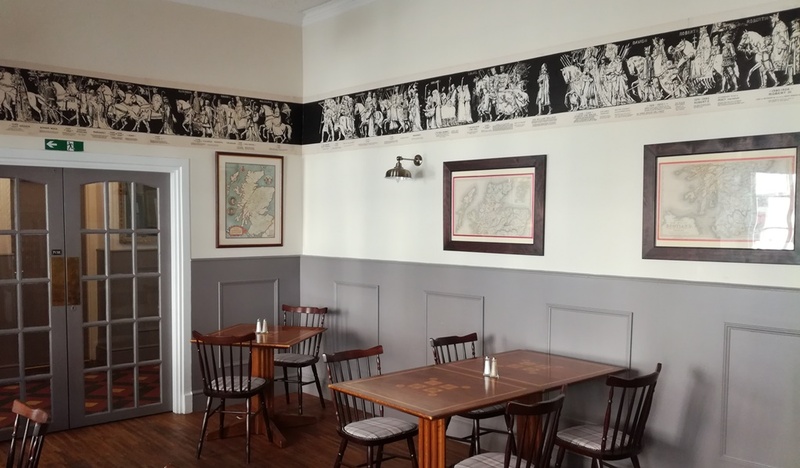 Enjoy delicious food and wine in our recently refurbished Bistro, with our historic ‘Kings of Scotland’ frieze. For hotel guests, we recommend that you let us know in advance of your stay if you would like to book a table for dinner.